Steven Mill 6 years ago. Deformed metal spring, compressed air or hydraulic pressure is the way through which the potential energy is stored in the circuit breaker. It is only during the operation of circuit at the reception of a switching signal is the potential energy released causing the moving contact to slide at a speed. Deionization results from recombination of ions and electrons. Diffusion toward the boundaries of volume by gas and extraction of charged particles by external electrical sources applied to gas. The information provided was very informative, detailed and thorough in regards to a circuit breakers. I’d also like to add that maintenance is also important with use of isopropyl alcohol to clean wiring and various other parts of the breaker. Make sure there is no power running through any of the electrical systems before doing this type of work. Safety should always be made a top priority. 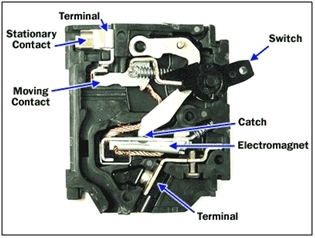 Residual-current device (RCD, formerly known as a residual current circuit breaker) — Current imbalance, but does not provide over-current protection. 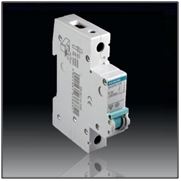 Residual current breaker with over-current protection (RCBO) — Combines functions of an RCD and an MCB in one package. In the panel-mounted devices that combine ground (earth) fault detection and over-current protection are called Ground Fault Interrupter (GFI) breakers; a wall mounted outlet device or separately enclosed plug-in device providing ground fault detection and interruption only (no overload protection) is called a Ground Fault Circuit Interrupter (GFCI). Autorecloser—A type of circuit breaker that closes automatically after a delay. 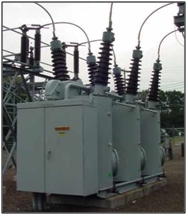 These are used on overhead power distribution systems, to prevent short duration faults from causing sustained outages. Definitely agree with this in Finland they are doing it well for their customer however the sähkön hinnat or electricity price is increase which some people disagree and agree about it. more in the medium-to-long term. When job offers do come and I’ll admit, some companies may fear hiring you because they fear a former owner being an employee, negotiate the best salary you can along with the best benefits you can for you and your family.